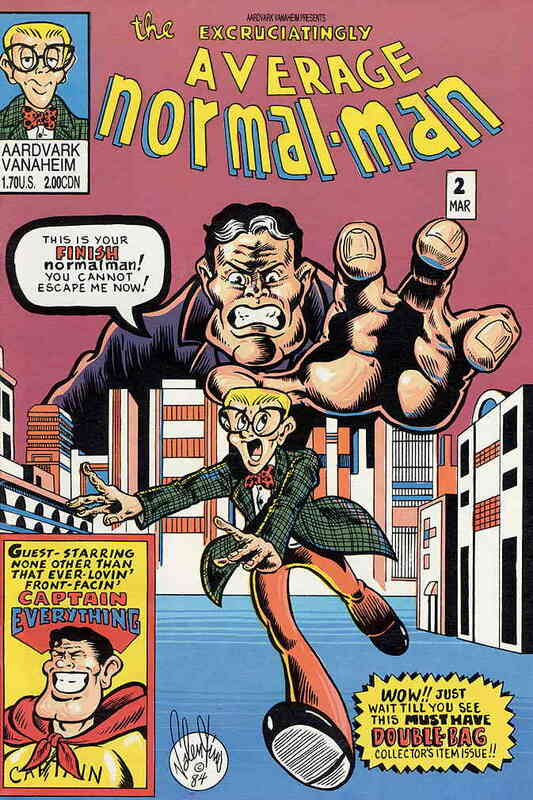 In a twist on the Superman mythos, the title character in Jim Valentino’s normalman (stylized in all lower-case letters) is shipped off into space by his father when he concludes that the planet they inhabit will explode. 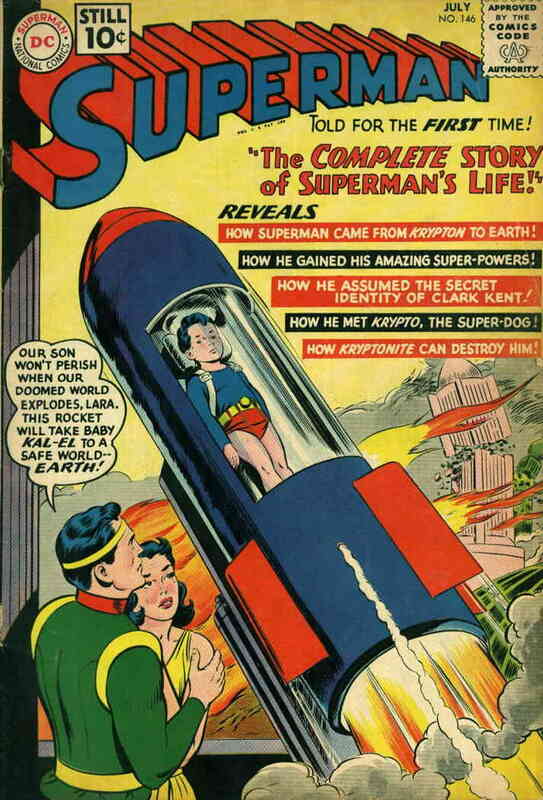 The child arrives on a planet inhabited completely by super-powered beings – they dub him normalman, because he’s the only one there without powers. The character debuted in Cerebus the Aardvark #56 and was soon given his own ongoing series. 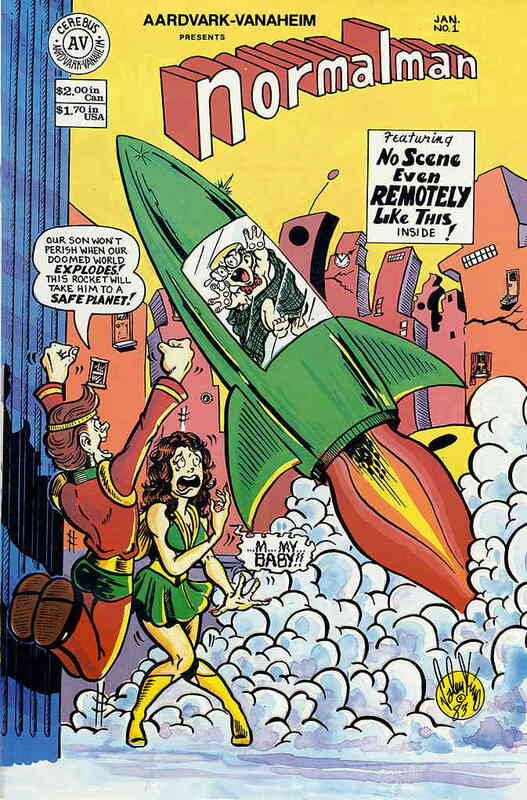 That title served as a vehicle for creator, Jim Valentino, to spoof and parody other comics, a perfect opportunity (if ever there was one) to introduce cover swipes that parody the source material. 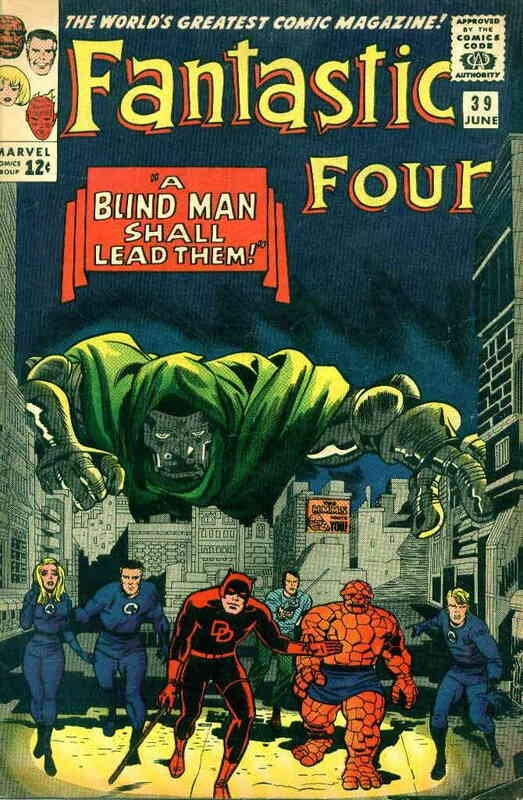 It looks as if normalman #2 is paying homage to this classic issue of Fantastic Four (guest-starring Daredevil) but the logo is actually honoring the long-standing Spider-Man logo design that debuted on the cover of Amazing Spider-Man #2 and dressed the covers of that series up through issue #394.